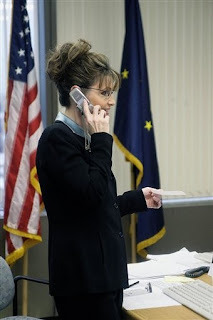 UPDATED: Will Emmonak Cause Political Problems for Governor Palin? ANCHORAGE, Alaska — Facing a dire situation, residents of the village of Emmonak pleaded to state and federal officials Friday for help. The article points out that at the core of the problem is the price of fuel and its effect on the local economy. We covered Governor Palin’s energy plan here and a copy of the detailed plan can be found here. I must admit that I am not an expert on the situation in Alaska regarding Emmonak. However, the comments on the KTUU story do not show a readership in favor of government aid to Emmonak. The political implications of how the Governor handles the situation may be important to her future. If she does not respond to the demand for government aid, will she be labeled “cruel” and “uncaring,” making this her “Katrina moment”? I suspect that is the card that will be played against her by opponents in Alaska. Here is what some of our readers had to say on this issue. These comments were left by “anonymous posters.” I really hope that in the future a screen name can be supplied so that they will receive the proper credit for their input. We have the best “anonymous posters” on the Palin blogosphere, and it would be great if we could supply a name to our other readers. I feel for those folks, I really do, but I’m not sure exactly what the government is supposed to do for them. The Guv. is basically in an impossible situation politically with that as other commenters have outlined: Don’t help and look callous, do help and open the door for requests like that to continue ad nauseum. This problem is one that, back in the day, would have been handled by private citizens helping one another without intervention by the government…. But it seems like nowadays we depend on the government to help us recover in any disaster, natural, economic, or otherwise. Build your house in a hurricane zone, don’t worry, the federal government will give you insurance and help you rebuild. I hope she stands firm on whether to provide this native village with state economic emergency relief. If the “crisis” didn’t meet the requirements for such relief, then you cannot give it; it’s nothing more than a handout in that instance, and I would imagine other struggling alaskans wouldn’t like certain native villages that are getting love from liberals who want government run by emotion to get special treatment. I would not go to the village until the weather improves there (don’t make it look like you are trying to get a photo-op); once it improves, then visit the villages, take the heat from the natives and liberals who will call you racist for not providing them with handouts, and then explain how the alternative energy plan at the local level will reduce their expenses. No other governor in the country would be willing to take that type of heat; she can stand out in contrast and eliminate this bs whiner-narrative. Whatever the outcome, it is clear that energy and more importantly the cost of energy is issue number one. Governor Palin has been consistent in her message of using domestic sources of energy to decrease the price of energy or at the very least stabilize the supply of energy. ramrocks: We’ve noticed that some interesting folks over at an “Alaskan” website are stopping by. I put “Alaskan” in quotes because their IPs are from places like Oakland, CA; Myrtle Beach, SC; Madison, WI; San Diego, CA; Boston, MA, etc., — you know, all of those places close to the Arctic Circle. I find it oddly amusing that these nutroots from the Lower 48 feel inclined to pretend to be outraged by Gov. Palin’s handling of a situation that doesn’t effect them and about which they know nothing. My Right Honorable Friend from New Jersey and I do not pretend to understand the intricacies of the situation in Emmonak, which is why we welcome comments from Alaskans who would like to share their insights. If the issue involves federal emergency dollars, then naturally all Americans have the right to voice their opinions, but we should at least listen to the people on the ground who know more about the situation than we do. The idea that Walt Monegan was somehow a champion of the people is laughable on its face. One of the myriad reasons why this incompetent man was fired was because of his lack of action on issues involving rural communities. But welcome to the blog! Feel free to post comments. We welcome vigorous debate here. Just keep it clean. Nicholas Tucker’s house served as an impromptu relief center Monday morning. And when he wasn’t on the phone, Tucker addressed criticism by three elders that people weren’t hungry and that Tucker has embarrassed the village by putting it in the national spotlight with a call for emergency economic relief. “There are some people who trade wood for stove oil, and there are some families who are forced to use their wood stove all day, all night because they cannot afford to buy fuel,” writes Tribal Administrator Della Hunt. “It was heartbreaking to hear elders in tears broadcasting on the VHF that someone had emptied their fuel drums in the darkness of night. These are people desperate to heat their homes for their families who knowingly committed crimes out of desperation,” wrote Tribal Administrator Nick P. Andrew, Jr., in a letter published on the Tundra Drums Web site. Take responsibility for your family and for your futures. Don’t think you need government to take care of all needs and to make decisions for you. More government isn’t the answer because you have the ability, because you are Alaskans and you live in a land which God, with incredible benevolence, decided to overwhelming bless. Five state officials are in the village to assess the situation, and they plan to visit another nearby village and report to the governor on Friday. A couple of legislators from rural Alaska are pushing for aid and criticizing the governor. A couple of suburban legislators are skeptical of offering aid (one Rep. and one Dem.). They want to hear what the staffers report back. McAllister says the administration’s trying to get the facts and will explore all options once they have them.